the spooky crafts are everywhere! Hold onto your broom and enjoy the ride! These stacked pumpkin topiaries are the coolest! these delightful decorations for the holiday! created a beauty of a mantel! the birch log candleholder add a richness I adore! give it a rustic flair, too! and spiderized pumpkins I ever did see! the power of the Silhouette! Thank you so much for featuring my pumpkin topiaries, Claire! I am honored and love the inspiration of the other ideas as well. 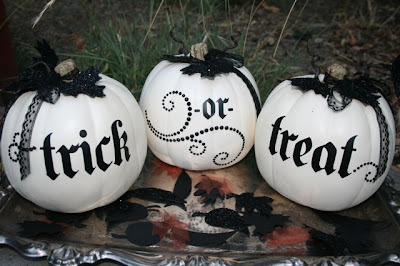 I am absolutely going to make "Trick" and "Treat" pumpkins today! P.S. I grabbed your button! Thank you! 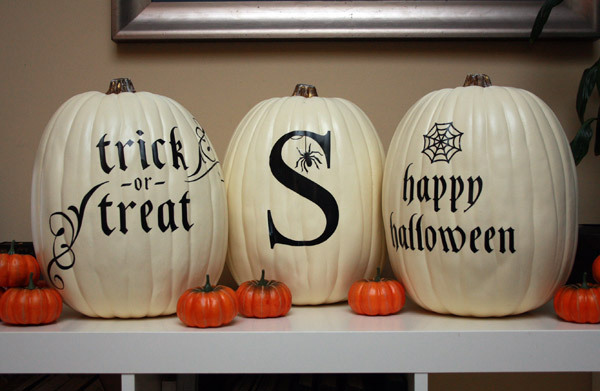 I love the stacked pumpkins...and the white ones, they're all great!